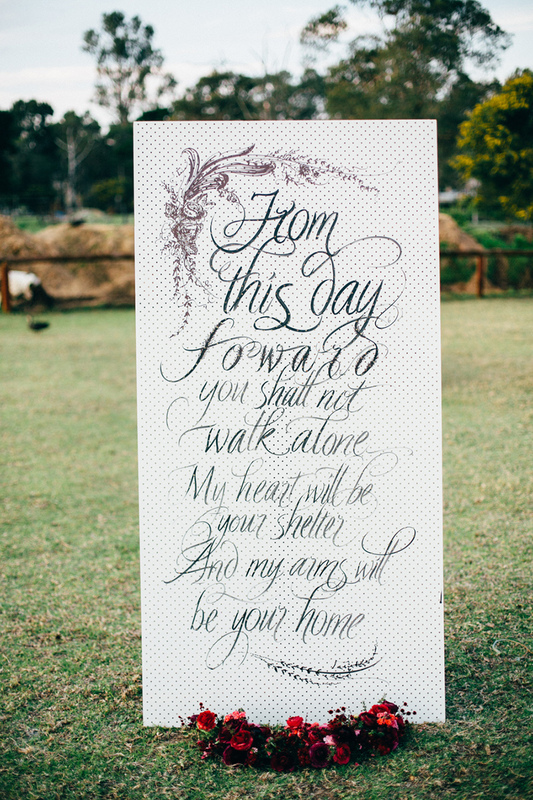 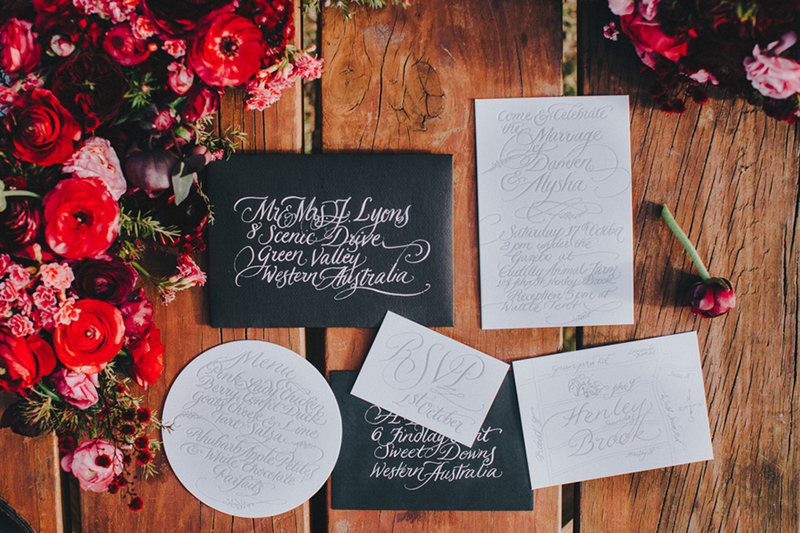 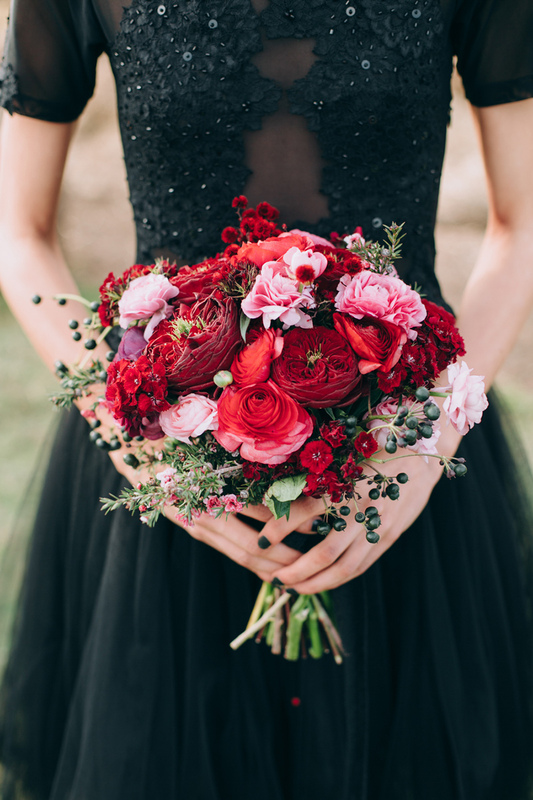 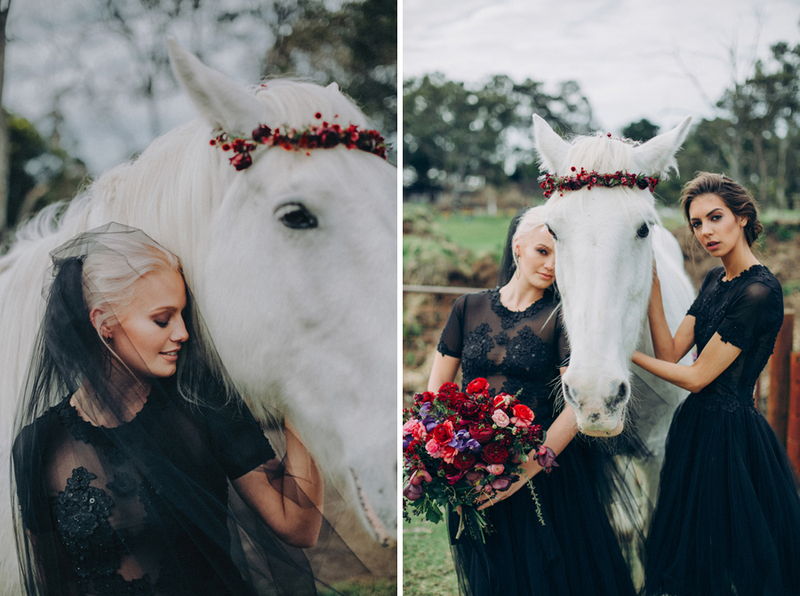 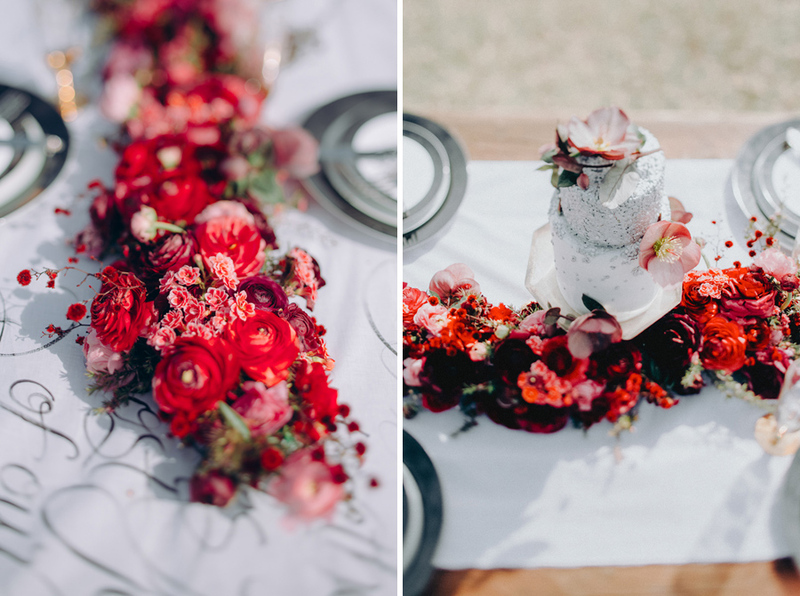 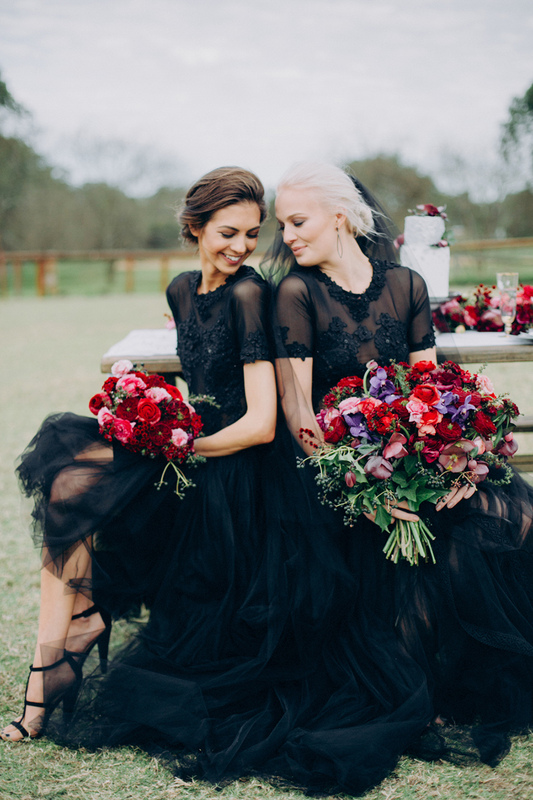 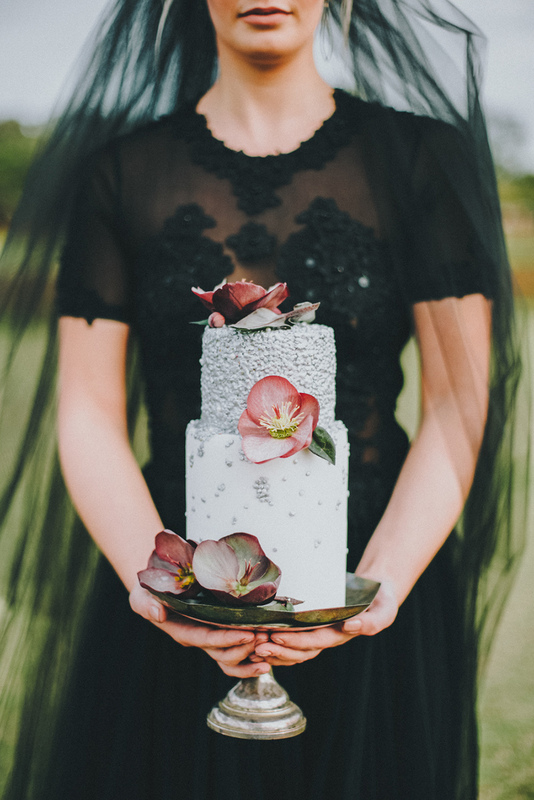 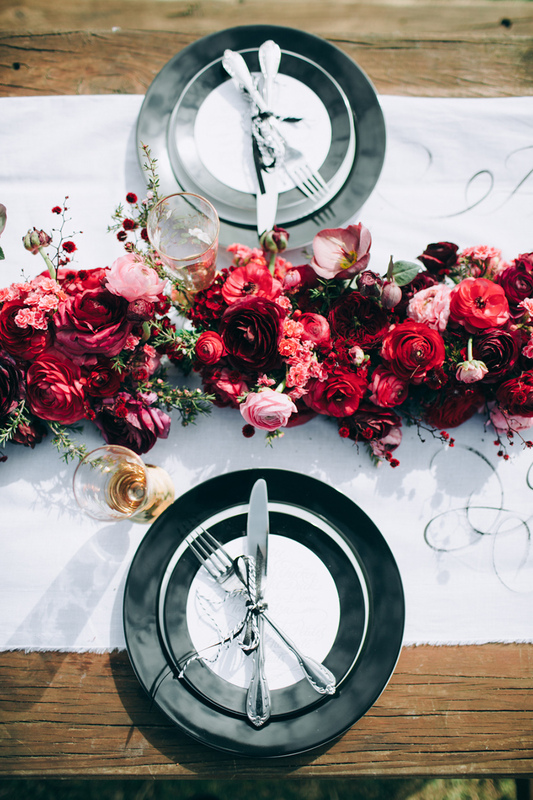 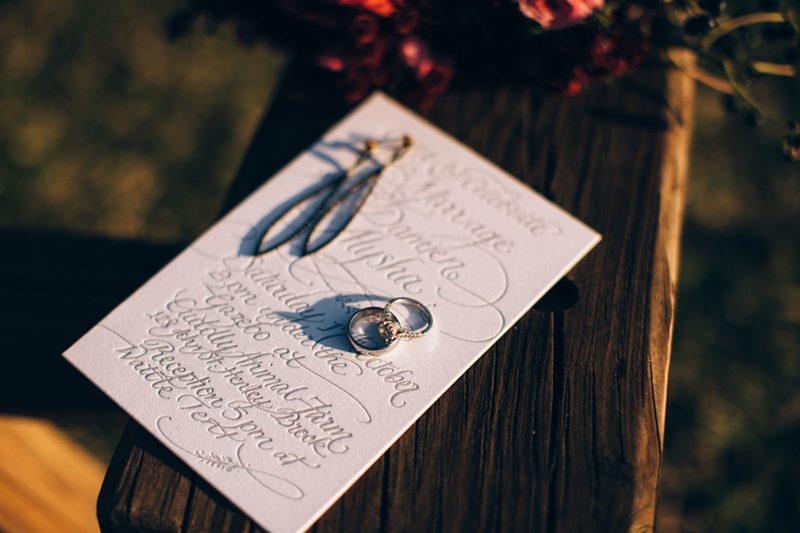 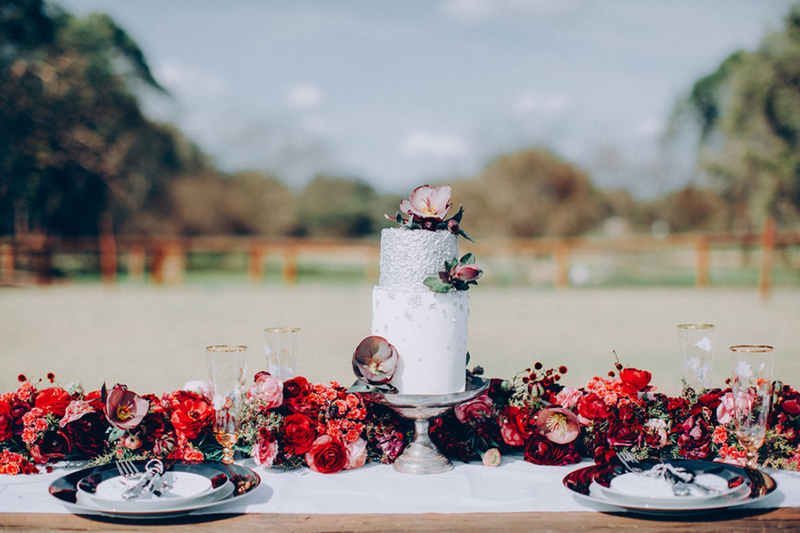 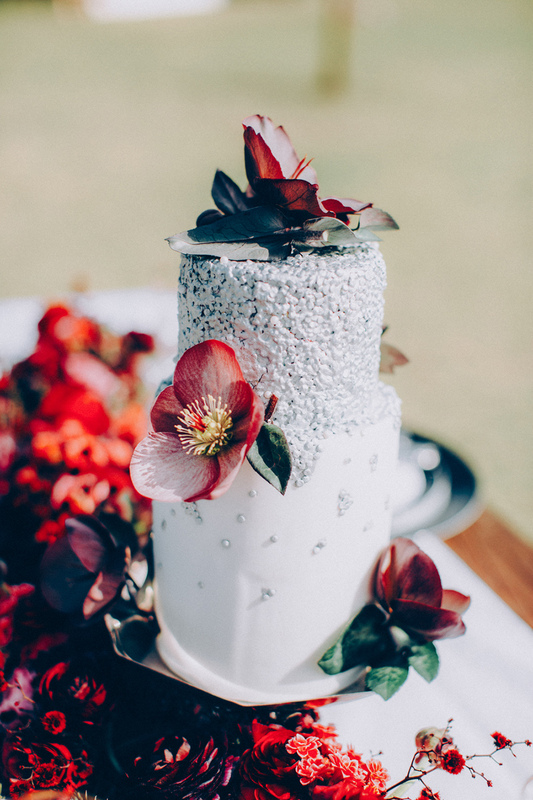 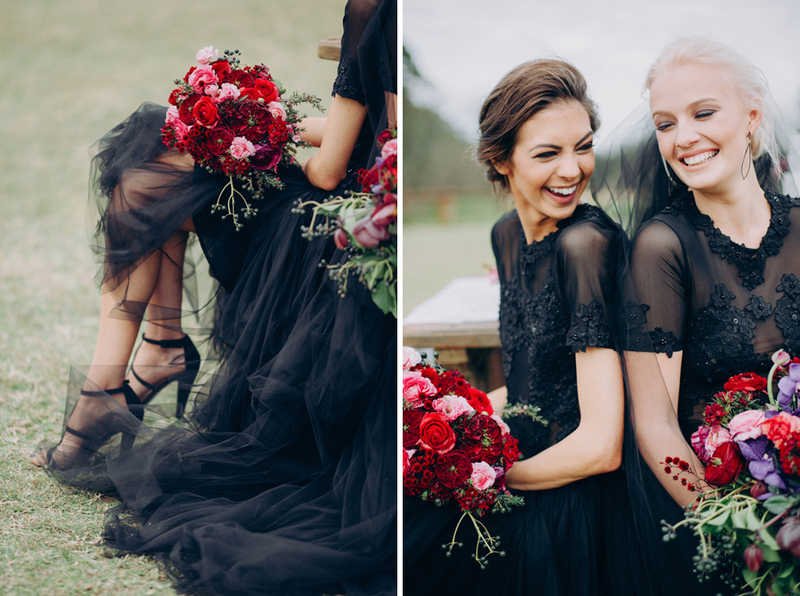 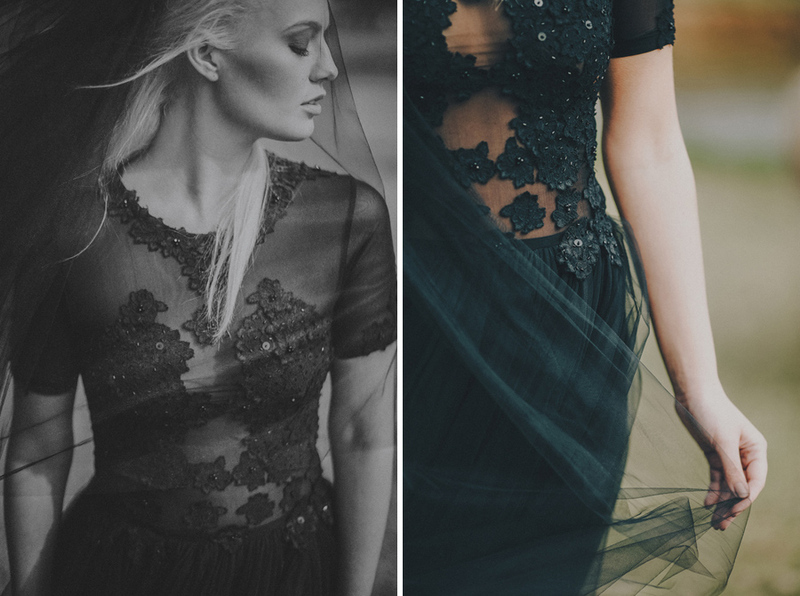 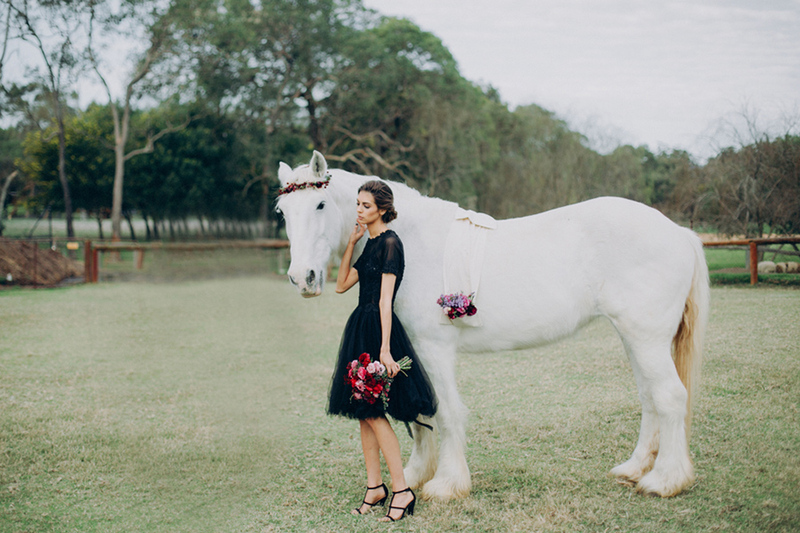 Today’s shoot styled by Away With Estella and FlowerTalk and photographed by Samuel Goh is a revelation in contrasts. 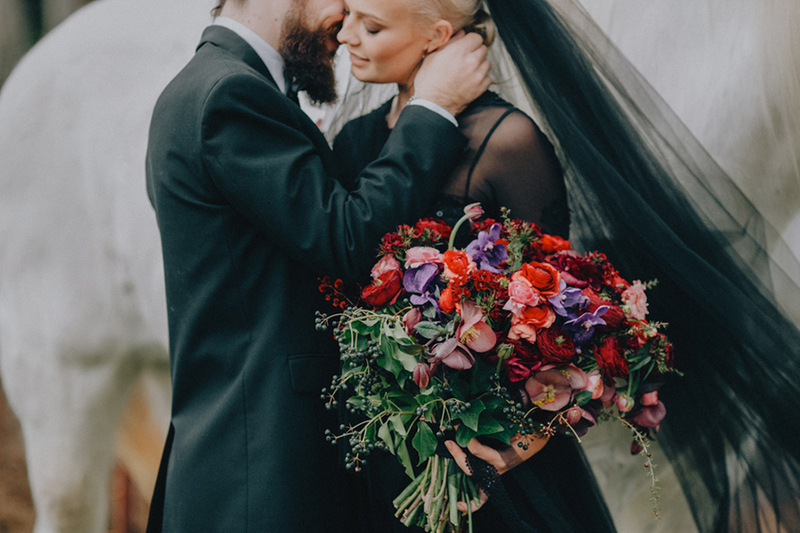 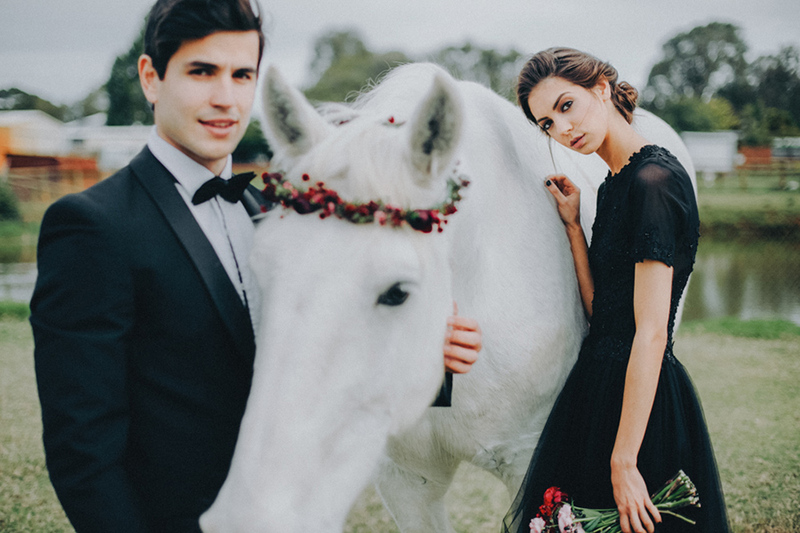 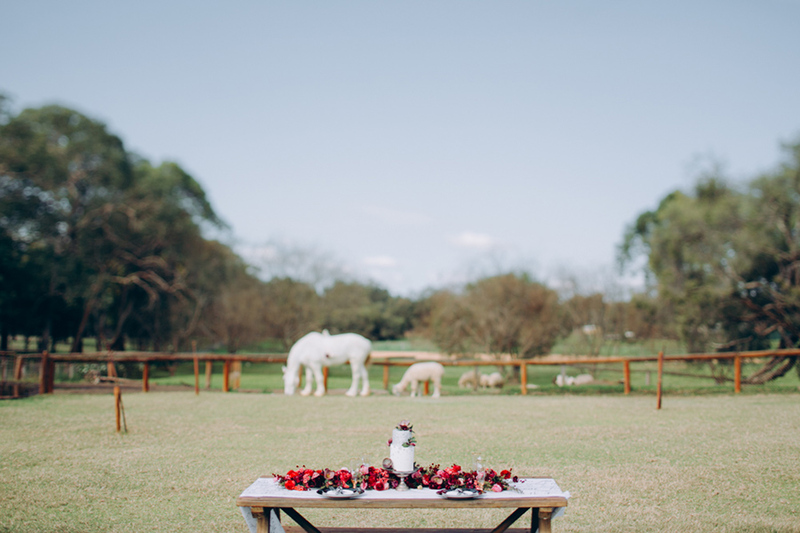 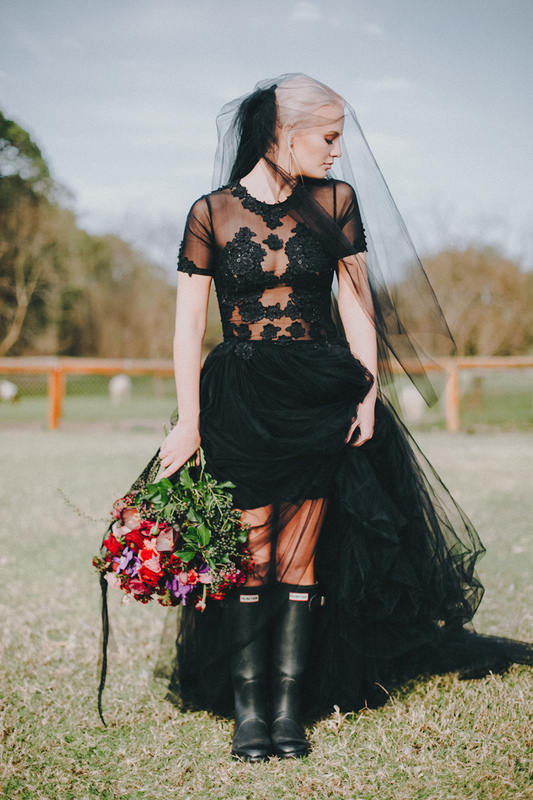 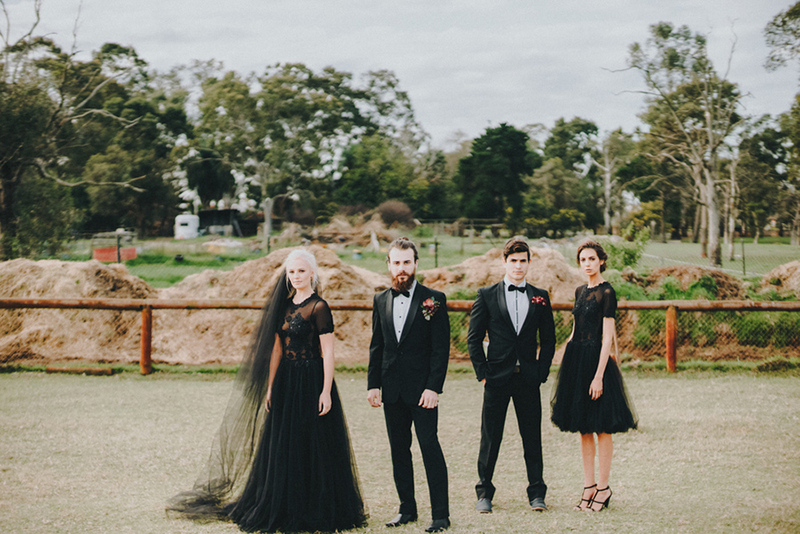 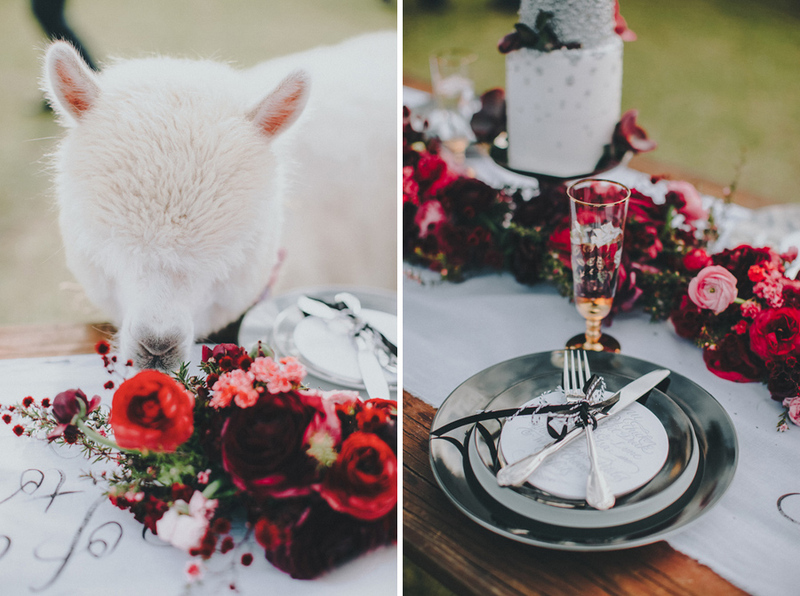 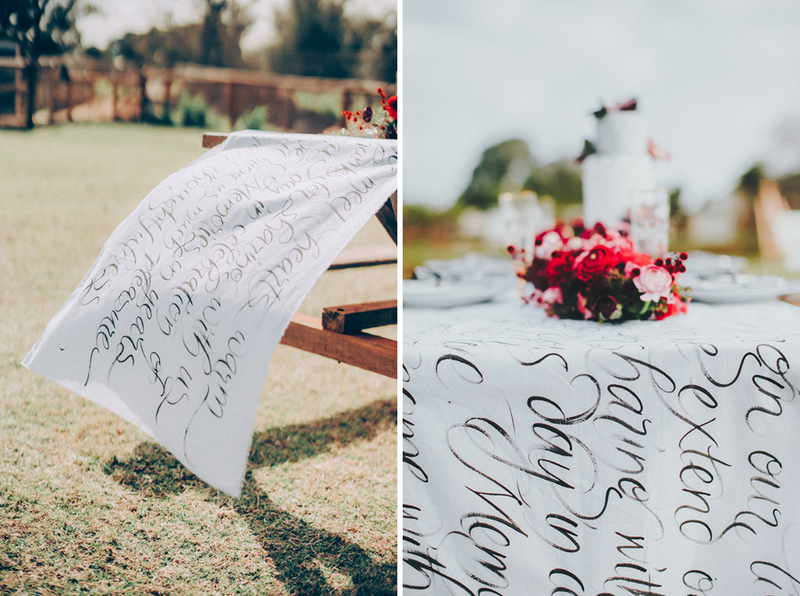 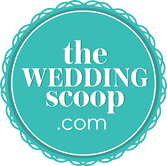 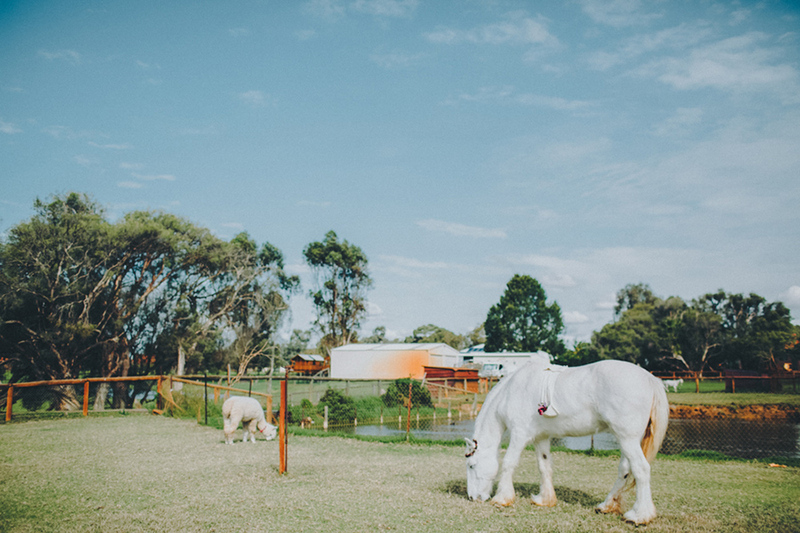 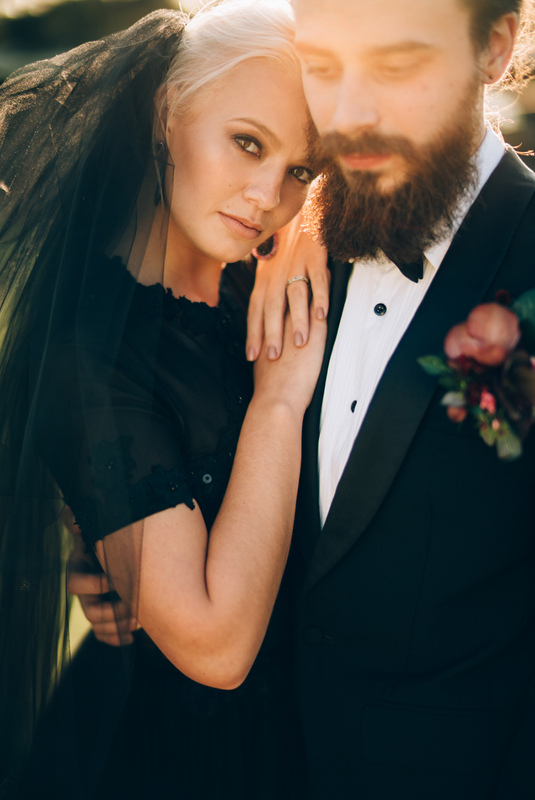 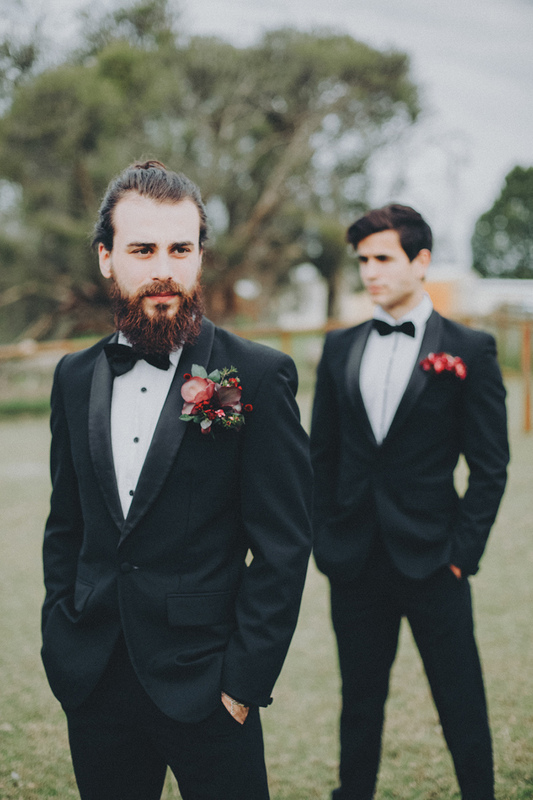 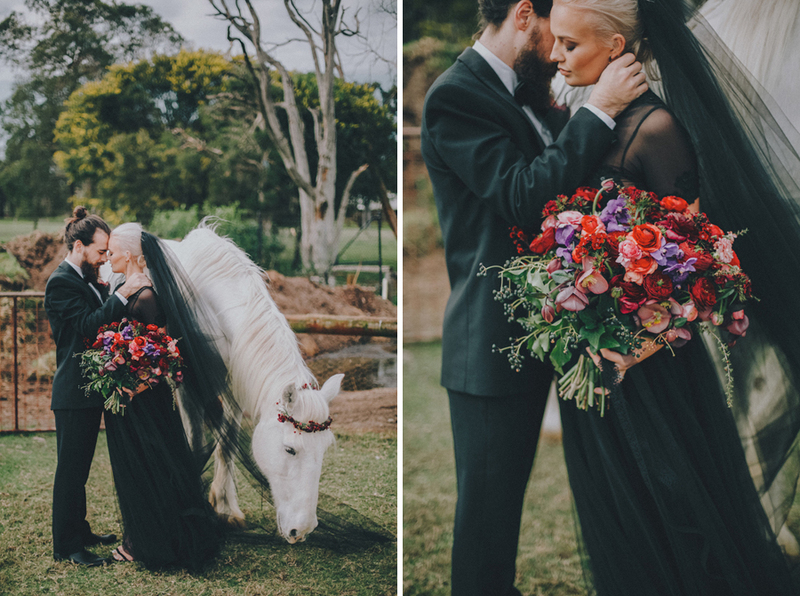 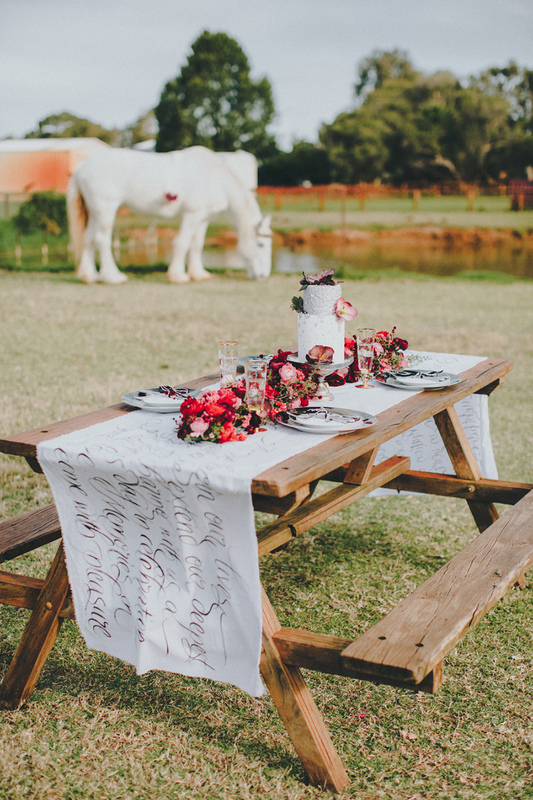 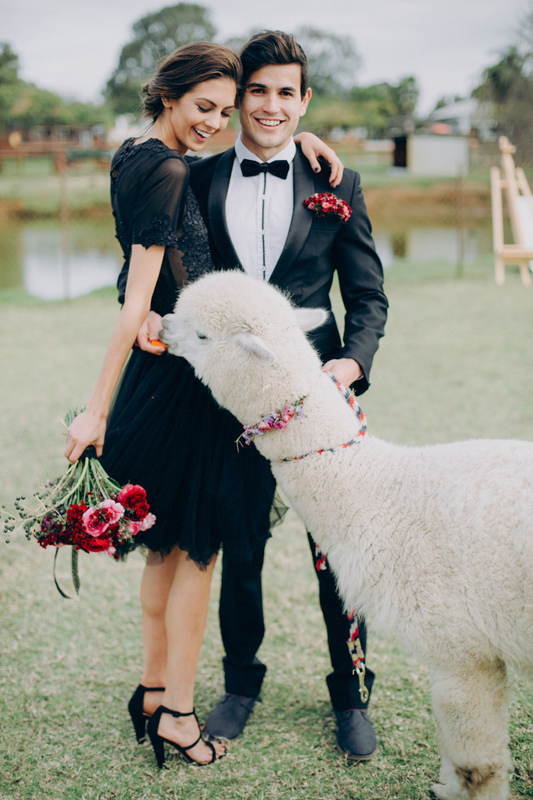 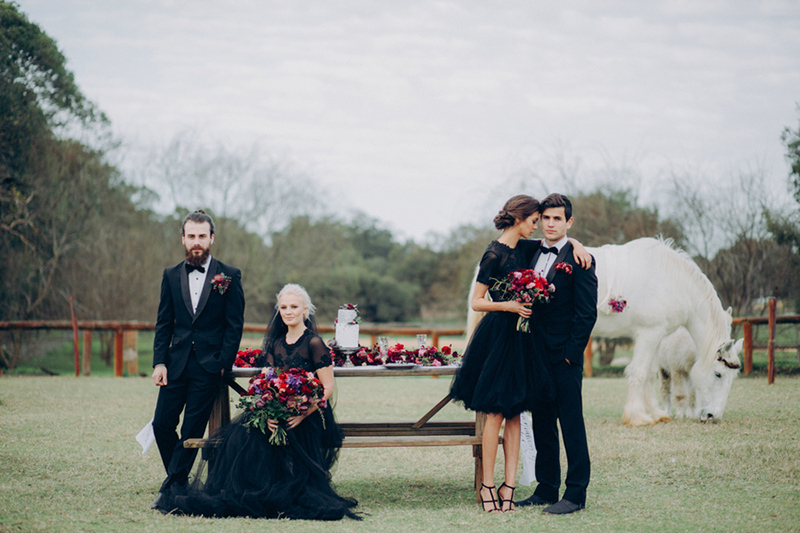 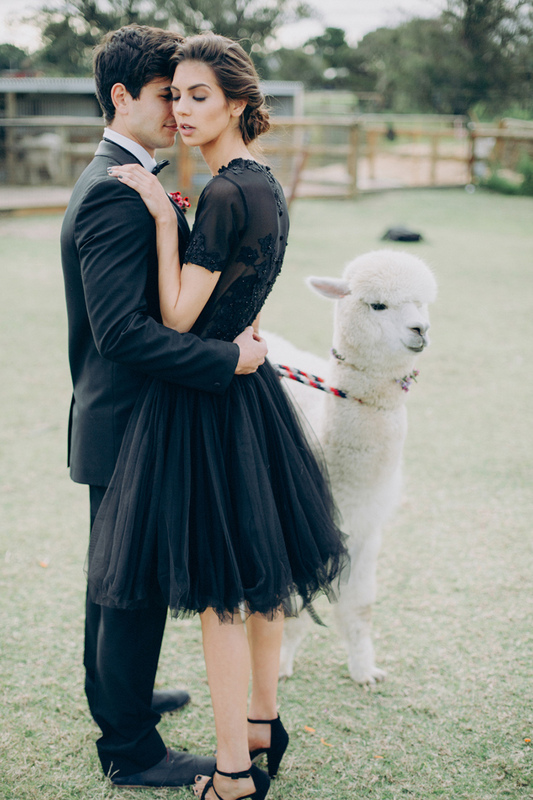 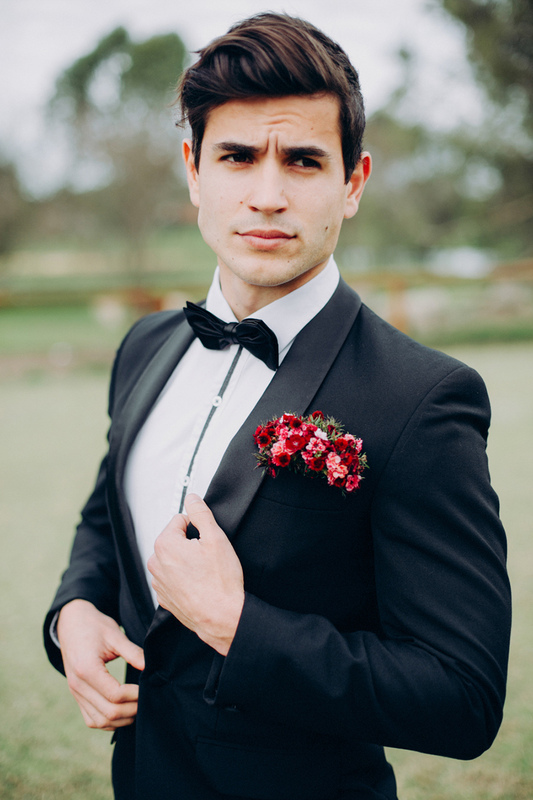 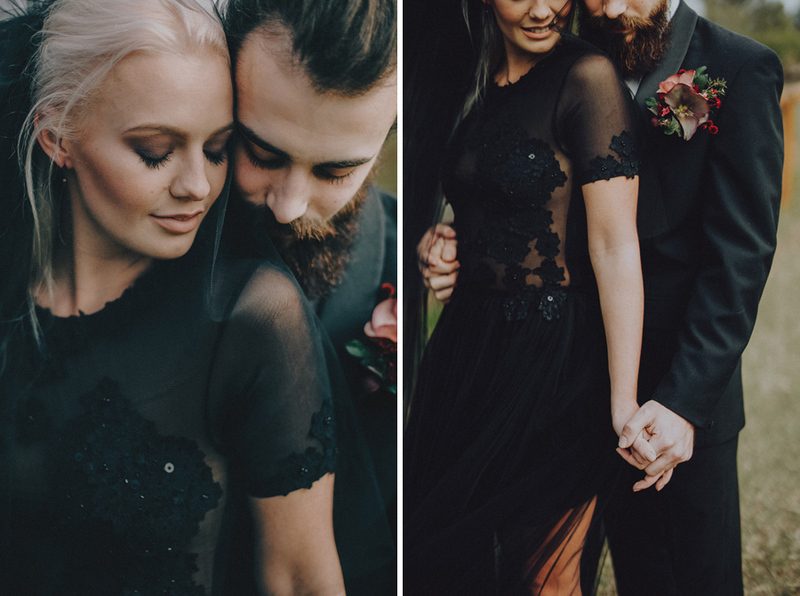 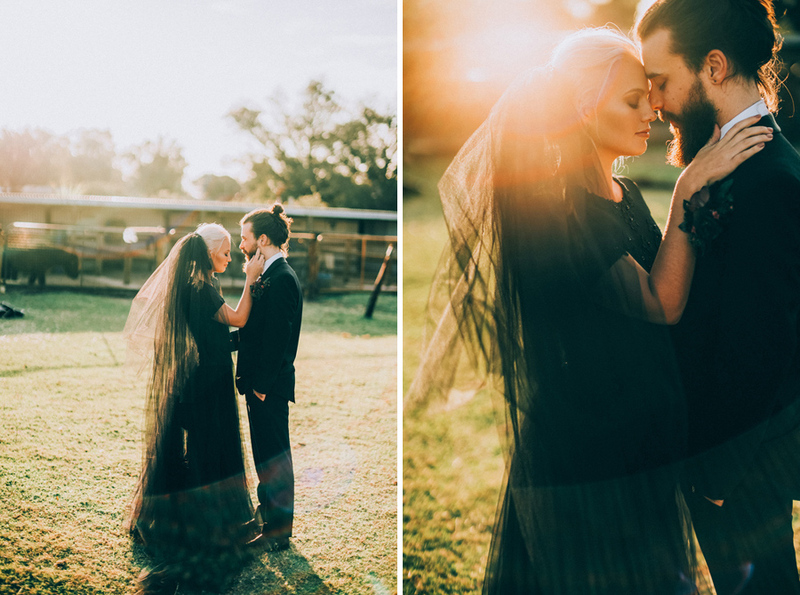 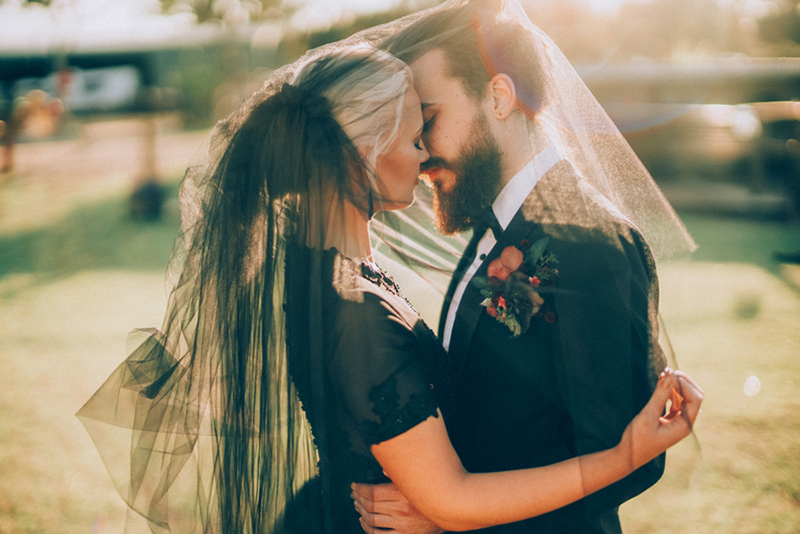 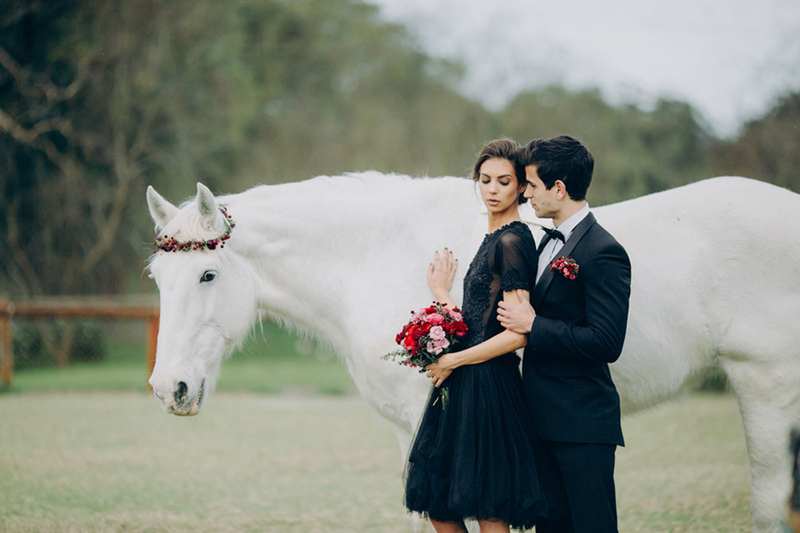 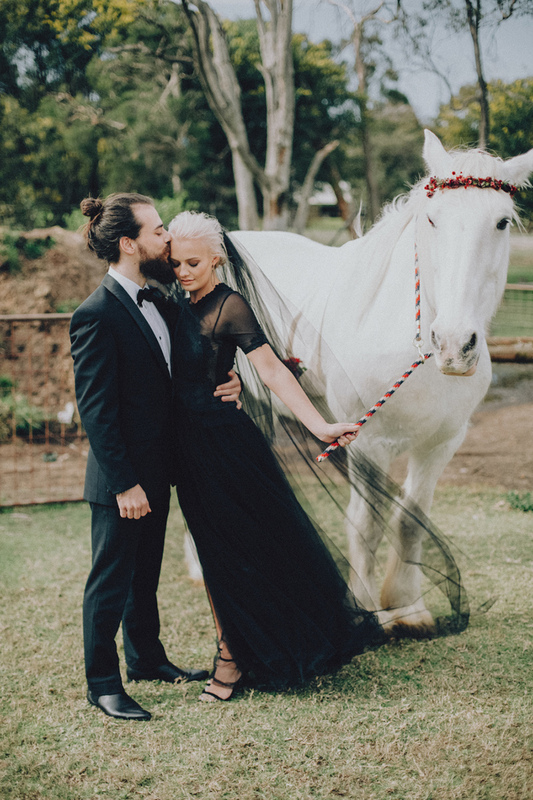 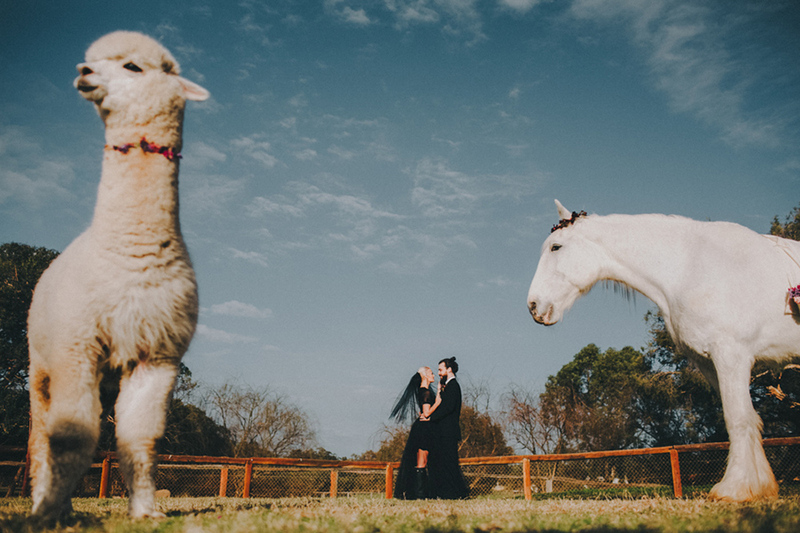 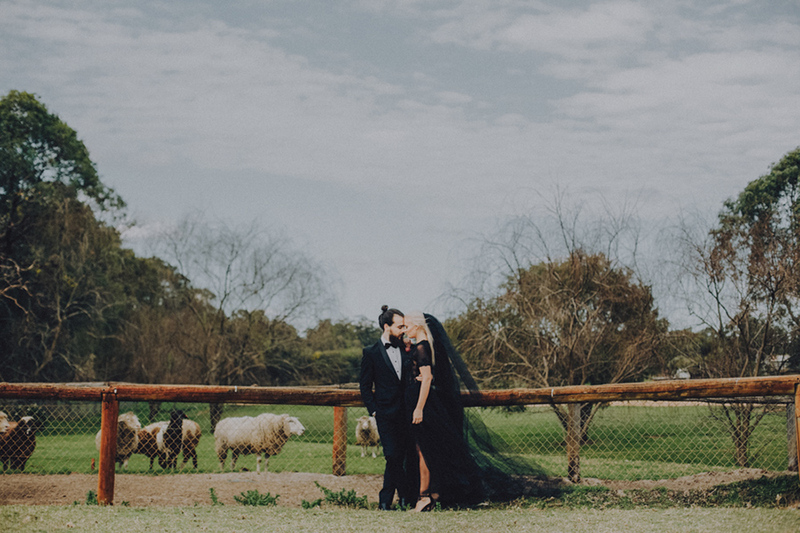 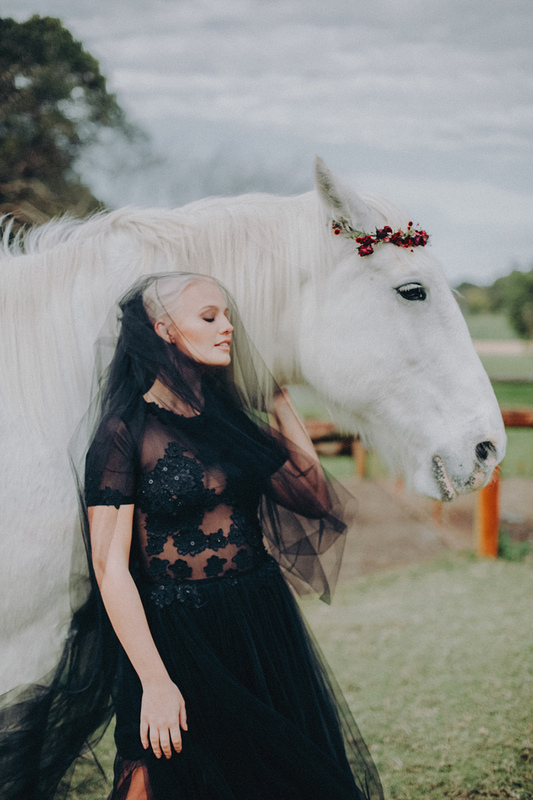 Refined black tie attire meets relaxed countryside atmosphere on a cuddly animal farm. 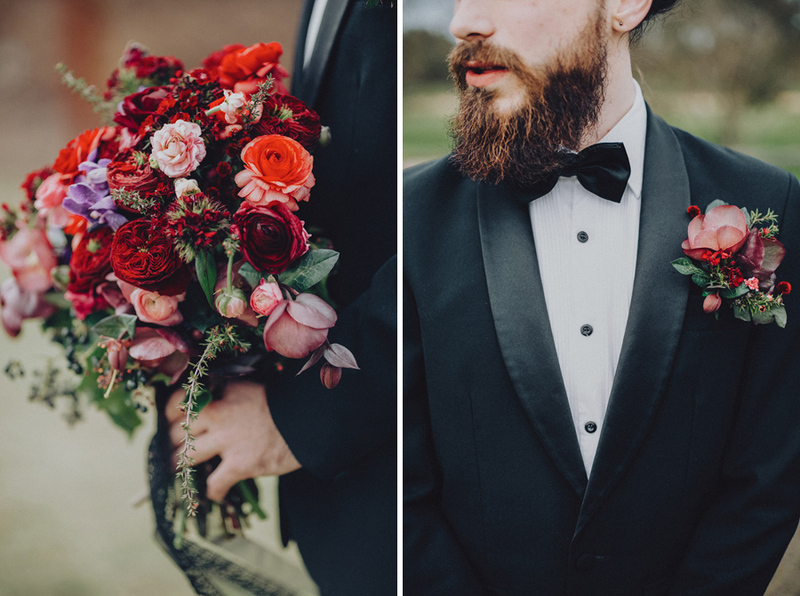 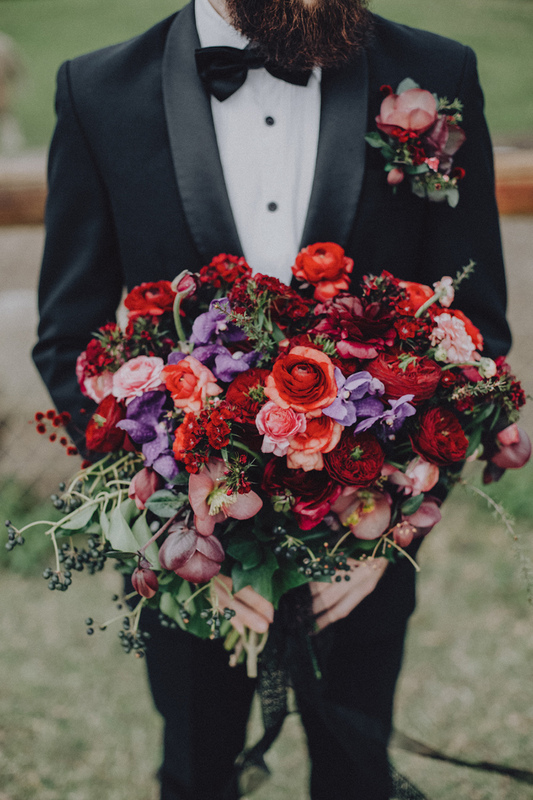 Ebony ensembles are accented by rich berry tones. 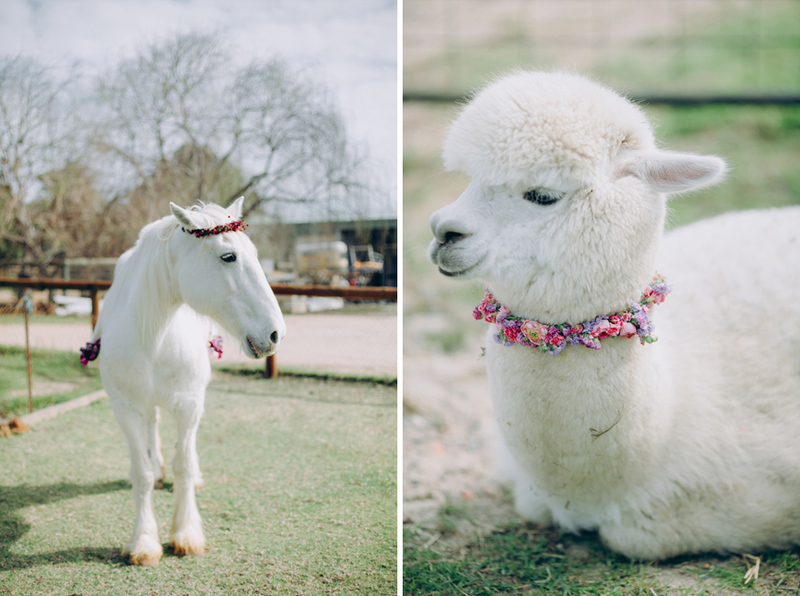 A snowy white horse and alpaca playfully round up the shoot.